The architecture firm Fellheimer and Wagner designed Thomas A. Edison Vocational High School. 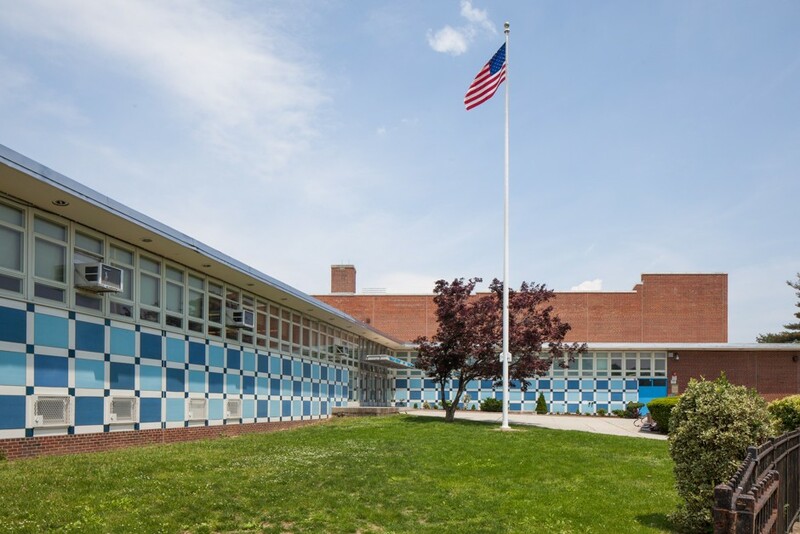 The school was built in Jamaica, Queens, in 1959 // Queens Modern. It’s time to look beyond Manhattan, according to architectural historian Frampton Tolbert. His new project documents the overlooked postwar buildings of Queens. When it comes to highlighting New York’s great postwar architecture, Manhattan always gets the attention. But the outer boroughs have plenty to boost as well. “It’s the narrative of Manhattan being the center of the highest of high-style architecture and where wealth was based, where influence was based,” architectural historian Frampton Tolbert recently told CityLab. Tolbert’s project, Queens Modern, surveys, documents, researches, and promotes mid-century, modern architecture in Queens, New York. Featuring a database of Modernist buildings in the borough, Queens Modern draws from the Queens Chamber of Commerce Building Awards program, first organized in 1926 to honor excellence in design and construction. The funding for the initial phase of Queens Modern came from the New York State Council on the Arts, and the funding for the second phase came from the James Marston Fitch Charitable Foundation. Tolbert is interested in presenting Queens Modern in other formats, potentially as a book and/or exhibit, in the future.